AMD’s Senior Director of Global Product Marketing recently announced on Facebook that he will be resigning from his post a couple of minutes ago. Chris has been one of the key people behind Radeon marketing and it is clear that his loss to the company will be a big one. Chris had been with AMD (and formerly ATI), for over 17 years and was one of the most experienced PR and marketing personnel on the payroll. With highly successful events like the Hawaii launch and Radeons iconic guerilla marketing tactics almost singlehandedly developed under his tenure by his team, his loss will be felt throughout RTG. While there is no official word on where he will be moving to next, his official post does mention that he’s headed towards new horizons. Hi Everyone, As some of you know, I made the decision recently to leave AMD to pursue a new role outside the company (which I start at the end of April). 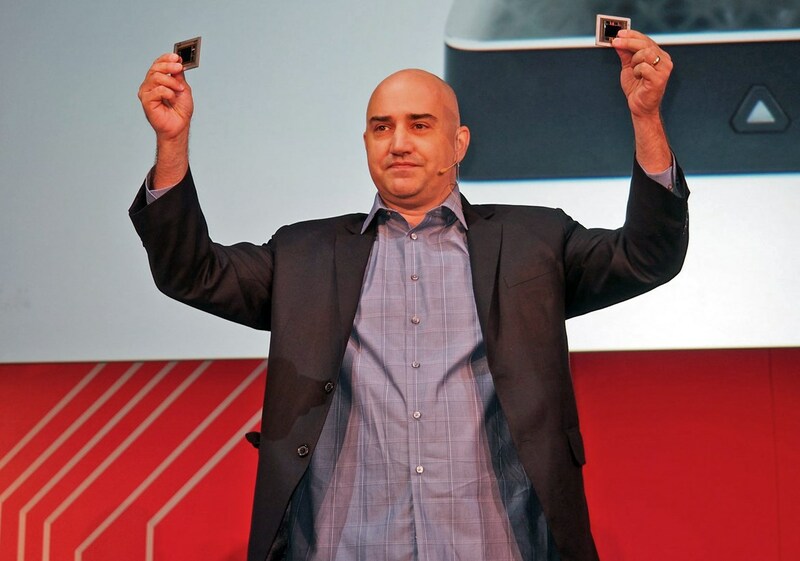 AMD has been a great company to work for, and I owe a tremendous amount to them both professionally and personally. Changing jobs was an incredibly hard decision to make since I’ve been with AMD/ATI since I was still in my late 20s, which is so long ago that ATI still had a smoking room, there was only one TV in the office (a small 14” black and white version we crowded into a room to watch 9/11 on), transistor size was still measured in microns, and 320×240 was considered ‘high res’. The most rewarding experience I had at AMD was reigniting Radeon over the past couple of years with Radeon Technologies Group, growing its market share from high teens to low thirties, and achieving a record revenue quarter late last year. It was a ton of work, but I’ve never had so much fun, visited so many great places, or worked with such amazing people. I’m also incredibly grateful to the tech press, who have been my second family for the past couple of decades, and I’ll always remember our adventures in places like Tunis, Iceland, Macau, Ibiza and the USS Hornet, to name a few. I hope there will be more of that one day. I’ll fill you all in on my new opportunity in the coming days and weeks. In the mean time, I’m going to enjoy a few days of vacation where I don’t have to be constantly checking a work smart phone to see what’s going on back in the office (that hasn’t happened since I got my first Blackberry in 2002). Chris was one of the oldest and most experienced faces in RTG/ATI and his departure could entail a shift in the company’s marketing strategy as new faces attempt to fill the void left in his absence. We won’t speculate as to where he might end up next, but with the amount of PR & marketing experience that he has under his belt – I am sure he will find a new home sooner rather than later. We wish him the best of luck in his future endeavors.